Learn more about universities in London which are set across large campuses below. If you want to apply to any of the below institutions and study a foundation, undergraduate or postgraduate course in the UK, arrange your free consultation in London or Manchester today. St Mary’s University is a modern, friendly institution with a caring atmosphere, a strong academic record and high student satisfaction rates. St Mary's is located at its historic and scenic Strawberry Hill campus based in Twickenham, London. The local area is beautiful, safe and green with Richmond, Kingston, great parks and the River Thames nearby. You will enjoy all the advantages of a perfect location - a personal, self-contained campus community experience in a world renowned city. 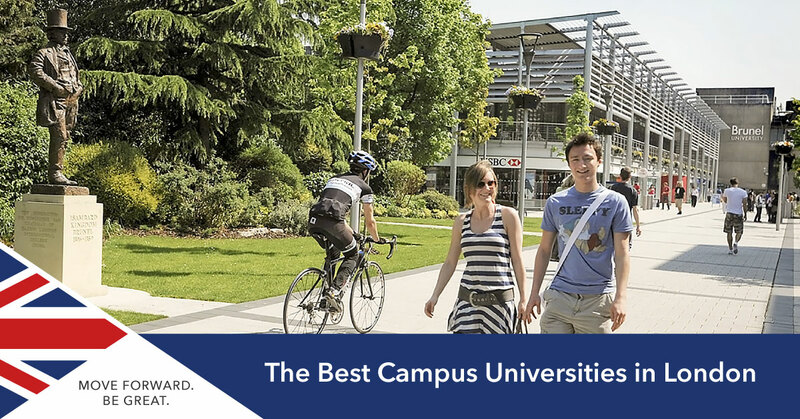 Are you interested in studying at a campus university in London? Don't hesitate to get in touch with our international education consultants in London or Manchester for a free consultation on how we can help you study in the UK.